How Much Does it Cost to Build a Deck in 2019? Building a deck can add valuable outdoor living space to your home. Often, it is significantly less expensive to add outdoor living space with a deck than it is to add an addition to your home. Adding a deck can add significant value to your home as well. 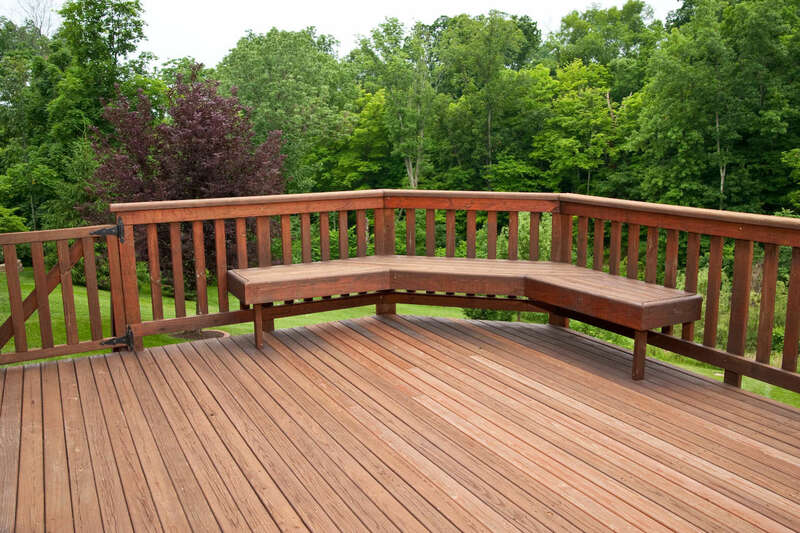 The average cost of building a deck is about $20 – $50 per square foot. There are several things to consider when establishing a budget for your project to help get a more precise estimate. Several factors contribute to the cost of a deck and they must be considered to estimate the cost. Perhaps the most important factor is the size of the deck. The actual square footag directly affects how much materials are needed and thus the cost. Decks are often estimated by the square foot, however there are other very important factors to consider. The height of the deck is another factor that affects the cost of building a deck. Decks that are a story off the ground need a larger set of stairs and longer posts then a deck that is near the ground. Stairs are a costly addition to a deck, so consider that a deck that is higher up and with stairs will add to the cost of the deck. Deck railings are another cost factor, and choosing a more expensive railing option will affect the cost of the deck. For example, a fine clear glass rail will be significantly more costly than a pressure treated pre-fabricated rail. The cost of the railing includes the cost of posts, rails, and balusters. If you’re estimating the cost of a railing check out our baluster calculator. The choice of flooring is a major factor when estimating the price of a new deck. Wood decks often cost $30 per square foot while composite decks often cost $50 per square foot. The cost of the flooring material itself is not that much of course, and will vary depending on the type of material you choose to use. Some materials also require less maintenance which helps offset the cost over the long run. See our deck flooring calculator to estimate how much flooring material you’ll need for your deck. Pressure treated wood decking costs on average $2 per square foot. Pressure treated wood is cost effective, long lasting, and naturally insect resistant. They do require additional maintenance and frequent staining, and need galvanized fasteners to prevent corrosion. Cedar wood decking costs $4 per square foot on average. Cedar is also cost effective, beautiful, long lasting, and naturally insect resistant. They do require additional maintenance and frequent staining, but do not need galvanized fasteners. Redwood wood decking costs around $7 per square foot. Redwood is beautiful, very long lasting, does not warp, and accepts stain very well. Redwood is quite a bit more expensive than pressure treated or cedar. Composite decking usually costs around $8 – $10 per square foot. Composite is very durable, looks great, and requires virtually no maintenance. Composite is on the more expensive end of material choices, but since it does not require stain there is some cost savings over the long run. There are many types of plastic and composite decking that vary in cost. The design of the deck will determine how much labor is needed to install it. More complex designs take more time to install and will thus cost a bit more. Complex designs require more planning and layout, more cuts, and may have more wasted material. If you need to remove your old deck there will be some costs involved. Removal can cost anywhere from $500 – $1000 on average. You may be able to do some of this yourself if you choose, but it can be a very difficult job. Also consider that the removed waste material will need to be disposed of. After you have considered the above factors you may be pretty close to figuring out how much your deck will cost. There are some other factors to consider to get a detailed estimate such as footings, inspections, lighting, heaters, and other features. Consider requesting a professional estimate for your project. Our professionals can give you an accurate estimate and more specific pricing for your local area. Also consider that the information above is very general and your deck costs may vary depending on your home and your location.